Native to the U.S., Echinacea has been a favorite wildflower and valuable herb for centuries. Long before settlers came to the North America, Native Americans grew and used Echinacea as an herbal remedy for colds, coughs and infections. Also known as purple coneflower, Echinacea has grown wildly and contently for hundreds of years without human “help,” and it can grow for many years in your landscape or flower beds without any maintenance. When I suggest coneflowers to a customer, I am often asked “do you need to deadhead coneflowers?” Continue reading for the answer. 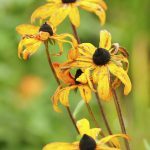 Do You Need to Deadhead Coneflowers? Though most of us would love to spend all day, every day, in our gardens, real life gets in the way. 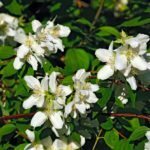 Instead, we select easy, low maintenance plants that look like we spent hours in the garden when, in fact, their care only requires a few minutes here or there. I often suggest coneflower, which tolerates poor soil, excessive heat, drought, full sun to part shade, and will bloom continuously whether you deadhead it or not. Coneflowers are sounding pretty perfect now, aren’t they? It gets better. When in bloom, Echinacea attracts and feeds bees and a variety of butterflies (such as Fritillaries, Swallowtails, Skippers, Viceroy, Red Admiral, American Lady, Painted Lady and Silvery Checkerspot). When they are done blooming, their seed covered “cones” provide valuable food from late summer to winter for many birds (such as goldfinches, chickadees, blue jays, cardinals and pine siskins). So when asked about deadheading Echinacea plants, I usually recommend only deadheading spent blooms through the blooming period to keep the plant looking beautiful, but leaving spent flowers in late summer-winter for the birds. You can also deadhead Echinacea to prevent it from reseeding itself all over the garden. Although it does not reseed quite as aggressively as Rudbeckia, older varieties of coneflower can reseed themselves. Newer hybrids usually do not produce viable seed and will not self sow. These newer hybrids are also not of much interest to birds, either. When pruning or deadheading any plant, always use clean, sharp pruning shears. While many annuals and perennials can simply be pinched back by snapping the spent flower head off, Echinacea stem are too thick and coarse to be pinched and require a clean, sharp snip with pruners. Sanitize pruners in a solution of rubbing alcohol or bleach and water before pruning to eliminate the risk of spreading any diseases from plant to plant. To deadhead spent blooms, follow the stem down from the flowers to the first set of leaves and snip just above these leaves. You can also cut the stem all the way back to the plant crown if it is a variety that only produces one flower on each stem. Most coneflowers produce several flowers per stem and will rebloom without any deadheading. Oftentimes, new blooms will appear at leaf nodes before the top flower finishes wilting. In this case, prune the spent flower and stem, back to the new blooms. Always cut the spent flower stem back to a set of leaves or a new flower bud so you are not left with odd looking bare stems all over the plant. In late summer to fall, stop deadheading spent blooms so that birds can eat the seed through the fall and winter. You can also harvest a few of the fall flowers to dry and make herbal teas that help battle winter colds from the coneflower petals.